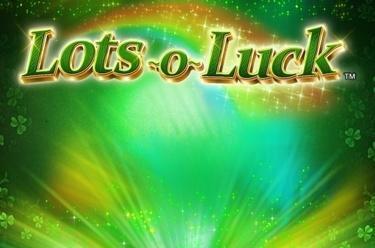 Play Lots o Luck™ online for free now! In Lots o Luck™, a slot with up to 20 win lines on 5 reels, you might discover the gold fountain at the end of the rainbow. The leprechaun gives you a helping hand with your quest and also pays out the highest winnings. Your aim in Lots o Luck™ is to line up 5 identical winning symbols on one of the win lines running from left to right. 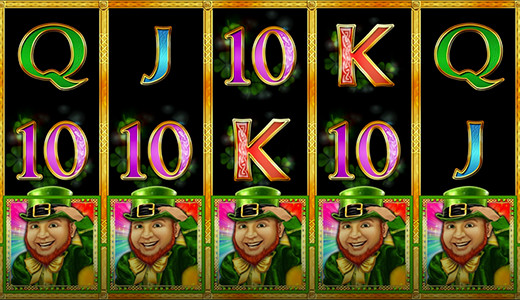 With the Wild symbol, the leprechaun (goblin), you can multiply your Twist wins in two ways: Firstly, this symbol matches any other slot symbol (except for the gold coin). secondly, the goblin doubles your win if he is part of a correct symbol combo. If the gold coin, the Scatter symbol, lands 3, 4 or 5 times in any position on the reels, the Spin feature is triggered. If 3 or 4 Scatter (gold coins) appear in any reel position following a spin the remaining reels are spun again. Every coin that lands reveals a winning multiplier. You entire stake is multiplied by this multiplier. He is dressed in green, sports a ginger beard, has a mischievous laugh and is very good at hiding – a leprechaun, clear as day! The Irish good luck goblin has taken up residence in the slot Lots o Luck™ and if he fancies it he might put in an appearance every now and then. Be patient and wait for him because he acts as Wild symbol and completes your symbol combos, but also doubles your Twist wins with a wink!